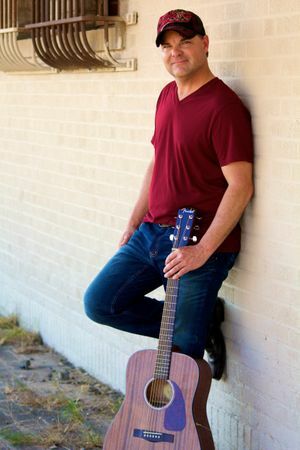 Guadalupe River is a new single from Todd Barrow, a Texas based country music artist. It’s a laid back, low drama, country jam all about having a blast on the Guadalupe River after a long hard workweek. Relaxing in an inner tube with a cold one, checking out cute girls in bikinis, fishing for rainbow trout and basically just livin the good life. What this song does a fantastic job of is painting a vivid image of the setting. You almost feel like you’re there hanging out with this crew. I live in the desert suburbs, but this track can resonate with anyone because we all have our own equivalent to the Guadalupe River, a place we associate with taking a break from our problems and letting loose for an afternoon. The music is very clean and polished. This isn’t rough or “gritty” country song. Production on this track is of radio quality and Barrow’s a good singer. His voice has an affable, unpretentious quality to it. You can just tell this guy would be a good fishing buddy. This song will make you want to bust out a roadmap and figure out where the nearest river is. Just don’t forget to pick up the margarita mix on the way.